When you’re in a dirty situation, who needs a high maintenance rifle. 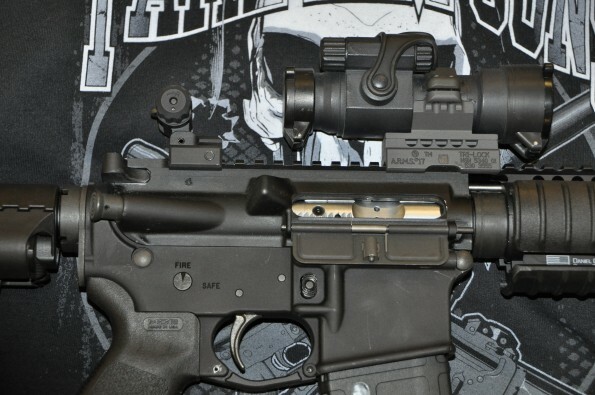 That’s the focus of this little Short Barrel AR. 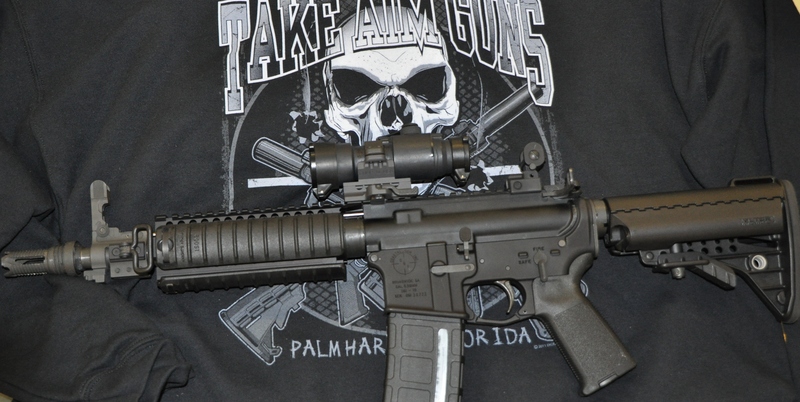 This rifle features a WMD NiB bolt and a 10.5″ chrome lined barrel. The Nickel Boron coating on the bolt provides extreme durability, performance, and reliability. The coating is corrosion resistant and harder than Nickel Teflon, Melonite, or Hard Chrome. Cycling is smoother and debris buildup can simply be wiped free. The Chrome lined bore is not only more resistant to fouling, it resists wear associated with high pressure and heat. The rifle has a Daniel Defense Omega 7 forerail and a QD yankee Hill flash hider. 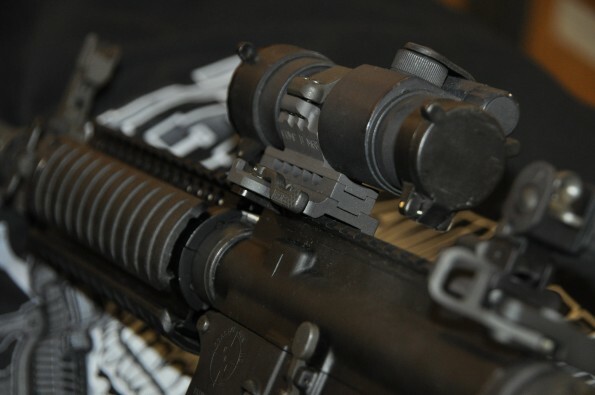 It has GG&G front and rear sights and an Aimpoint PRS attached with an ARMS M68 mount.